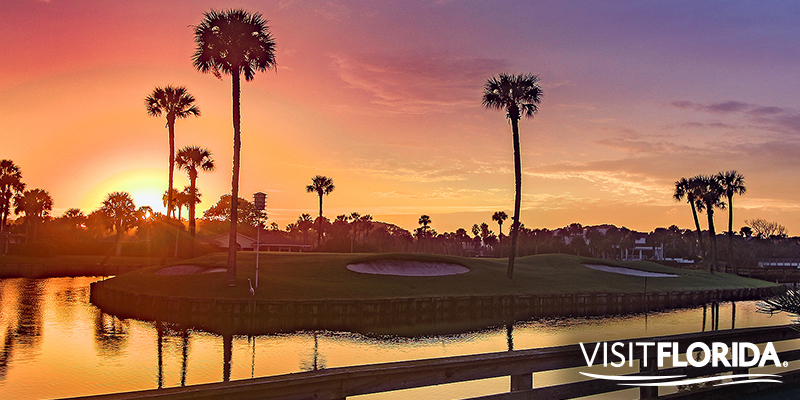 The perfect balance of golf and romance for your next getaway can be found in St. Augustine & Ponte Vedra, part of Florida's first coast of golf. Whether you plan on stopping by a world-class winery, taking in the local history or simply burying your toes in the sand at the beach, planning a perfect vacation to St. Augustine & Ponte Vedra wouldn't be complete without some much-needed time on the golf course, would it? But much like getting to the green in regulation, a little bit of planning ahead of time can go a long way to making sure you and your partner find the perfect balance between time on the course and making the most of your romantic getaway to Northeast Florida. Don't worry, there will be plenty of golf to look forward to, but figuring out where to start your trip is as important as what to do once you get settled in. Do you plan on spending time at the beach simply listening to the waves or do you plan on a quicker pace while touring America's oldest city? When will you visit a winery? Knowing where you want to be and where you want to go are the start of a perfect getaway. 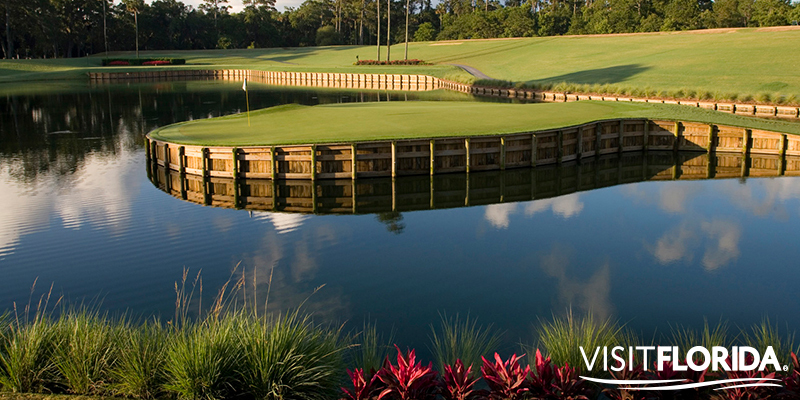 If golf is truly the focal point of your trip, consider starting each day at the Renaissance Resort at Golf Village. Not only does the resort have the expected lodgings of a top-of-the-line resort, but there are more secluded condominiums at the Residences at World Golf Village to stay in if that's your style. The resort features the Slammer & Squire and the King & Bear championship courses, but don't forget a relaxing spa trip after you're done swinging the clubs. And if your mind is still on golf, a visit to the World Golf Hall of Fame is certainly in order. You can celebrate the game's greatest players while taking a walk through history. In fact, you can literally walk on a replica of Swilken Bridge, one of golf's most famous landmarks. What better way to experience history than seeing, hearing, feeling and experiencing the game for yourself when you try sinking a putt with a green and clubs made to simulate playing golf in the 1800s? There's also the Hall of Fame Challenge where you can take a swing at a 132-yard island green similar to the 17th hole at nearby TPC Sawgrass. Don't forget to save some time for the IMAX theater there, too. If you still need more time on the golf course, there are packages available at St. John's Golf & Country Club and the Golf Club at South Hampton. There are plenty of quiet bed and breakfast options in the area if you're thinking of a cozy start to your day. Finding the right one near the course you plan allows for more time golfing and less time getting there. There are a variety of restaurants to please your palate before and after seeing the oldest European settlement in North America. Whether you self-guide your own tour while hopping on and off one of the tour trollies or prefer some up close and personal time with some alligators at the St. Augustine Alligator Farm Zoological Park, there is plenty to see and do in the historic city. The city's rich history makes it home to a number of museums, whether it's learning about daily life in colonial times — good and bad — the experience in St. Augustine is unique. If you're a wine-lover, a tour of the San Sebastian Winery is the perfect way to learn more about the process of how the grapes from the fields become their award-winning wines. Don't forget to pick up gifts for your friends (and yourself) after the tour is over. You can make your way down to the area's beaches as well for a little quiet time or sunbathing with your partner. Sometimes the simple moments are the most romantic. If you're looking to take a shot at some of golf's toughest courses, staying at the Marriott Sawgrass Resort, home of THE PLAYERS Stadium Course at TPC Sawgrass and Dye’s Valley Course at TPC Sawgrass, is in order. 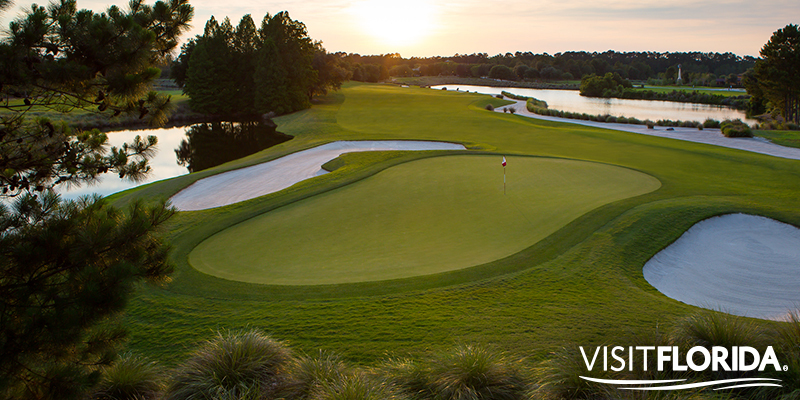 The Sawgrass Resort is also home to Vernon's Restaurant, where a mix of seafood and farm-to-table ingredients make for a perfect meal to complement the view of the sun setting on TPC Sawgrass. The resort has a spa as well where you and your partner can sign up for Couple's Massage, as well as the many other ways you expect to relax at a spa. With different offerings for both men and women, you're sure to find the best ways for you and your partner to relax. Then, of course, you can get back to golfing. You can also look into trip packages that include Bent Creek Golf Course, Cimarrone Golf Club, and Hidden Hills Golf Course located in nearby Jacksonville. Once you know what you want to do and where you want to go in Northeast Florida, it's time to book your lodging, find the right golf courses for you and your partner, and book your tee times. With the quality and variety of restaurants in the area, you can plan each day around discovering the best places to eat when you aren't taking in the area or the game of golf's history.